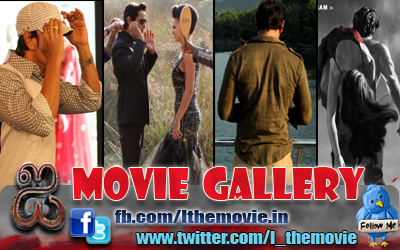 Home » Latest Buzz » Deiva Thirumagal - A film for everyone! Deiva Thirumagal - A film for everyone! 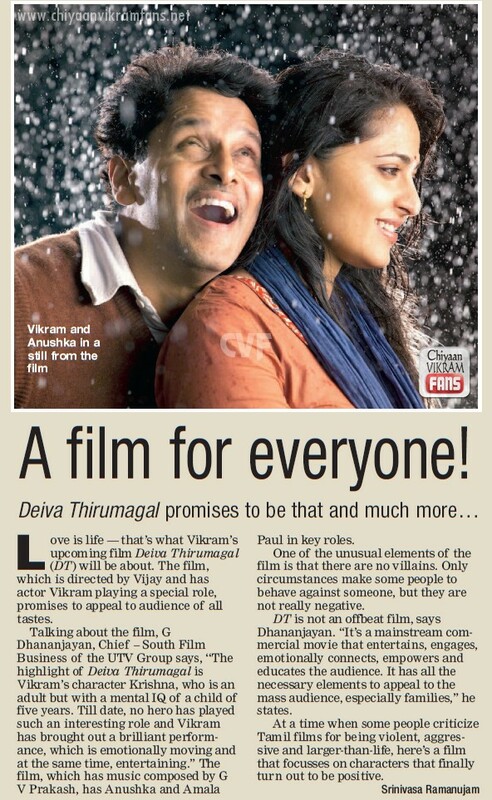 Love is life — that’s what Vikram’s upcoming film Deiva Thirumagal (DTM) will be about. The film, which is directed by Vijay and has actor Vikram playing a special role, promises to appeal to audience of all tastes. Talking about the film, G Dhananjayan, Chief – South Film Business of the UTV Group says, “The highlight of Deiva Thirumagal is Vikram’s character Krishna, who is an adult but with a mental IQ of a child of five years. Till date, no hero has played such an interesting role and Vikram has brought out a brilliant performance, which is emotionally moving and at the same time, entertaining.” The film, which has music composed by G V Prakash, has Anushka and Amala Paul in key roles. One of the unusual elements of the film is that there are no villains. Only circumstances make some people to behave against someone, but they are not really negative. DTM is not an offbeat film, says Dhananjayan. “It’s a mainstream commercial movie that entertains, engages, emotionally connects, empowers and educates the audience. It has all the necessary elements to appeal to the mass audience, especially families,” he states. At a time when some people criticize Tamil films for being violent, aggressive and larger-than-life, here’s a film that focusses on characters that finally turn out to be positive.